ATLANTA (Oct. 24, 2012) – The Holiday Inn Express Hotel & Suites Ocala-Silver Springs received the IHG (InterContinental Hotels Group) 2012 Torchbearer Award, the company’s most prestigious award. The Torchbearer Award was presented during the 2012 IHG Americas Investors & Leadership Conference in Orlando, Florida, Oct. 24–26, 2012. The Holiday Inn Express Hotel & Suites Ocala-Silver Springs is one of only 102 properties within the Americas chosen from the IHG system of more than 4,500 hotels for achieving the highest levels of excellence in all aspects of operation — from quality to customer satisfaction. 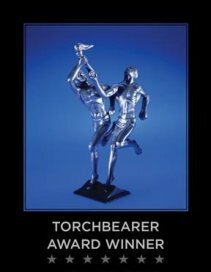 A 2012 Torchbearer trophy, the company’s symbol of excellence, will be on permanent display at the hotel. Nearly 5,000 franchise owners, operators and company officials attended the 2012 IHG Americas Investors & Leadership Conference. Located approximately 3 miles from the Historic Downtown Ocala, the Holiday Inn Express Hotel & Suites Ocala-Silver Springs is close to everything Marion County has to offer. From the Silver Springs Attractions across the street to the magnificent Ocala National Forest few miles to the east, the award-winning hotel is also just minutes from the area’s finest shopping, dining and eco-tourism activities. For more information or to make reservations, call the Holiday Inn Express Ocala-Silver Springs directly at (352)304-6111 or at toll-free number (800)465-4329. You can also get more information online at www.ocalasilverspringshotel.com. IHG (InterContinental Hotels Group) [LON:IHG, NYSE:IHG (ADRs)] is a global company operating seven hotel brands including InterContinental® Hotels & Resorts, Hotel Indigo®, Crowne Plaza® Hotels & Resorts, Holiday Inn® Hotels and Resorts, Holiday Inn Express®, Staybridge Suites® and Candlewood Suites® . IHG also manages Priority Club® Rewards, the world’s first and largest hotel loyalty programme with almost 60 million members worldwide.